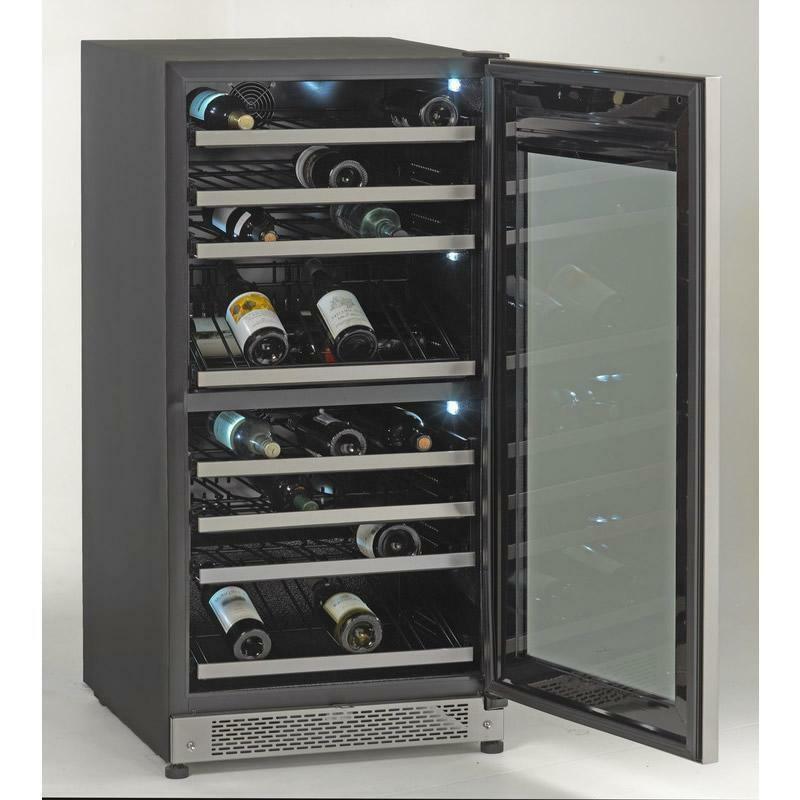 24 inches wide and stores up to 85 wine bottles with dual zone Design. Double-pane tempered glass door with Pro style stainless steel handle and frame. 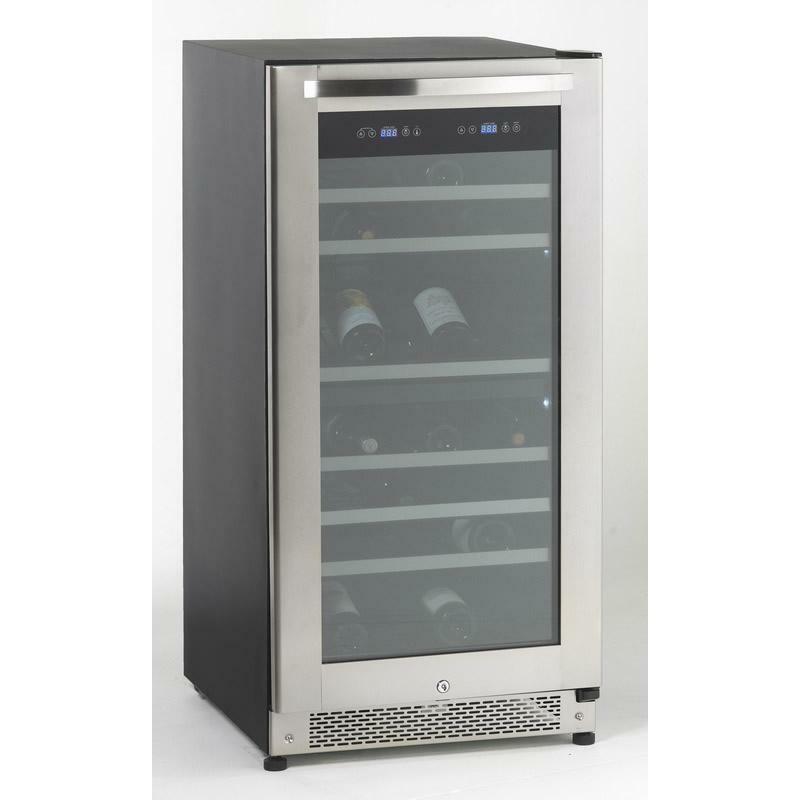 Additional Information Vinyl Coated "Full View" Pull Out Shelves with Stainless Fronts on Roller Assembly; Door Integrated Soft Touch Electronic Control & Display For Monitoring Temperature (°C/°F); Double-Pane Tempered Glass Door with Pro Style Stainless Steel Handle & Frame; 6 Bottle Roll-Out Showcase Shelf . Additional Dimensions Carton Dimensions 52.25" H x 26" W x 30.25" D.